So today marked a momentous occasion. My first official bake sale as a mum. Our Baby Sensory class was holding a bake sale for this year’s Children in Need and we were invited to bring a contribution to help raise some funds for a very worthwhile charity. 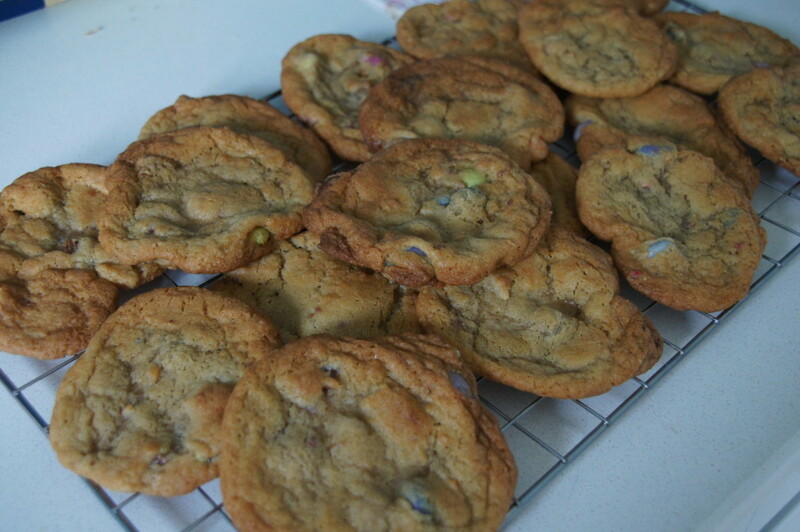 I thought Smarties cookies would be fun and would also link to the idea of ‘spots’ for Children in Need. I found this Martha Collison recipe on the Waitrose website. These cookies would make a good child friendly bake. Not only are they easy to make but they’ll also be popular to eat too. They are soft and chewy and very similar in texture to the multi packs of cookies you can buy in supermarkets. You could of course swap the Smarties for any other sugar-shelled sweets you have such as M&Ms or Minstrels. The original recipes says it will make 30 however I made 18 medium-sized cookies. They must have been a hit as I only brought 4 home with me! 1) In a large bowl, beat together the soft butter with both types of sugar using a wooden spoon or an electric hand whisk. Beat the mixture until everything is well combined (it doesn’t need to be light and fluffy). 2) Add the vanilla extract and egg to the butter mixture, and beat again until all the ingredients are smooth. 3) In a separate bowl, combine the remaining dry ingredients. 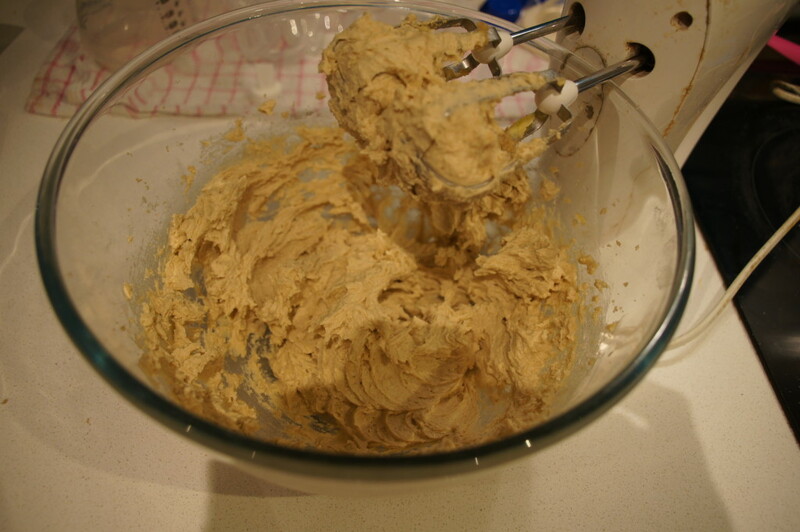 Then pour them into the wet mixture and fold in using a spatula until a stiff dough forms. Add the Smarties, and stir through. 4) Refrigerate the dough for at least 30 minutes (I left mine in the fridge overnight). Preheat the oven to 170°C/gas 3. Grease and line 2-3 large baking trays with baking paper. 5) Use a small ice cream scoop to form balls of dough (I used a dessertspoon – it just means the shapes won’t be as regular). Place the balls onto the trays, leaving space for each to spread out. Try not to roll them, as the ragged top created by a scoop/spoon gives the cookies their traditional cracked surface. 6) Bake the cookies for 10 minutes, or until the mixture has spread out and browned around the edges. Remove from the oven – the cookies should look undercooked in the middle – and allow to cool for at least 10 minutes.